PSA: Don’t push my buttons! Recently, some of us at [LEET] received some phishing mail posing as official ANET correspondence. I wanted to put out a friendly reminder (or ominous warning) to report any kind of unwarranted solicitation or misconduct. ANET has a great support staff dedicated to resolving these conflicts. They are easy to reach out to and eager to drop the ban-hammer on any mischievous players. Please take some time to learn the various ways to access the Player Conduct Report form, as well as the categories of offences. After spending some time putting together his green screen, Jon Von Zombie is starting to promote his Twitch channel. Jon Von Zombie, as you may know, is one of LEET’s newest members. He’s been streaming LEET content the past month, along with some other game streams. Jon Von Zombie is a huge Heavy Metal lover, so he built his Twitch channel around it. “I’m a big metal fan, so I’m always telling everyone to keep it metal! Metal is an attitude and a way of life. Look up CJ the Metal Motivator on Youtube, and you’ll see why I chose to go that route.”, said Jon. “Hallowed By Thy Game” is the name of his show. He will be launching a YouTube game review series soon with the same name. Jon Von Zombie’s Twitch feed is usually open from 5-9 PM Central Time USA Monday through Friday. On Saturdays, it varies so check his twitter account at: http://www.twitter.com/jonvonzombie . On Sunday, Jon usually takes a day of rest. 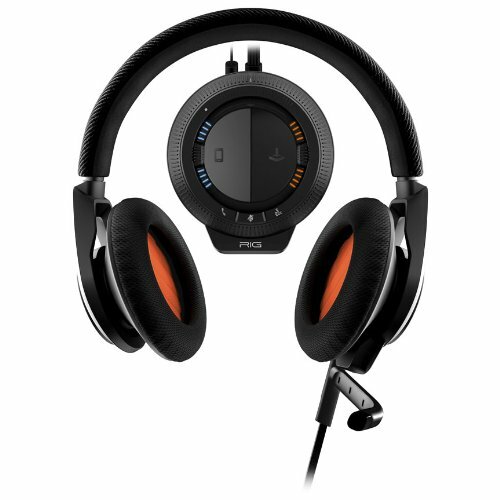 Tonight, The Vooch got a new headset for our Teamspeak server at ts3.elitedragonchasers.com. So far, everyone on our teamspeak channel says he sounds awesome. His last headset, the Plantronics Gamecom 780, was good but it broke, so he opted for a costlier model. Co-Leader Aron Shackleton ran a “Pick A Number” event in Divinity’s Reach tonight. Pick a Number is where you pick a number between 1-100. Tiya Fae was closest by choosing 37. The winning number was 38. Tiya walked away 50 gold in her pocket. How often to you run into someone with the same outfit as you? The answer is usually never. But tonight, The Vooch ran into Fumakilla from the [RAW] guild and was wearing the same awesome setup, luminescent armor, white dye, and even the rare backitem, Fractal Capacitor (Infused). P.S. We receive nothing from this promo… just giving you information, which I think may be useful to you. The Vooch got on guild chat and asked for someone to help with testing out a future guild event. Lia Felcorr offered to help. After asking about the highest place to drop & die in the game, the consensus got driven to the main Divinity’s Reach Bank/Trading Post, or a POI at Mount Maelstrom (in the middle of the volcano). Seeing as not every can get to Mount Maelstrom, we opted for the Divinity’s Reach area that GW2 devs like to use for hackers. As you may know, the Aviator’s Memory Box, was a feature available on April 1, 2015, and is available for purchase in the GEM store currently. The Vooch wants to do a guild video of everyone jumping off a cliff and having a ragtime song played at the end. There is no need to purchase the box – just showing u how it works a bit (without video). Even though Lia didn’t own said box at the time, Lia Felcorr showed The Vooch what could be done with the Aviator’s Memory Box. “It’s amazing what our members know!”, said The Vooch. According to Lia, when someone presses (F) to Use the Aviator’s Memory Box, the game goes into a “Post Processor Mode” whereby the special effects of: (1) arms extended; (2) aviator cap; (3) plane sound; (4) golden-tinted background, and; (5) scratchy 70s-film reel effect; all occur within the individual’s computer that used it. The interesting thing is everyone can use it, but no one else can see anyone else using it. “Unfortunately, this means we can’t see a bunch of LEET members in a video jumping off a balcony with arms extended or aviator caps, but we can get everything else!”, said The Vooch. Surprisingly, Lia Felcorr showed The Vooch how survive such a jump! As a Necromancer (The Vooch’s favorite class in Guild Wars 2), Lia showed The Vooch how Necros can evoke Spectral Walk by double-left clicking it before you hit the bottom – it’ll raise u up a bit, and then you’ll drift to a slower fall. Anyways, we’re thinking about doing a jump for a guild video for fun! What do you think?! Six Inch Saint sent in several photos from LEET’s 1st Year Anniversary Celebration, so we put together a 3-1/2 minute video of all of them. On Saturday, May 9, LEET celebrated it’s first year anniversary. A ton of members showed up and a great time was had by all. We started at North Boats during the Tequatl event. A banquet table was setup and the drinking started early. Carameltaro had the best line of the evening with his, “u should try teq with 25 stacks of drunk :3”. After Tequatl, members assembled at the Mystic Toilet (aka Mystic Forge) while The Vooch played a few songs. “I was using some scripts from gw2mb.com and after a couple songs, it got very difficult to walk, so we had some technical problems during the March to The Grove.”, said The Vooch. When we arrived at The Grove, we headed over to Constellation Shelter for some guild screenshots – it’s a great place for photos because of the vibrant colors. From there, we did a couple Bounty Hunts, a Guild Challenge, and a Guild Rush. Then, we did a guild bank give-away. “We had a few more technical problems during this event. Too much to give away in too short a period of time, and even with 3 people doing it, we couldn’t do it properly.”, said The Vooch. We closed out the guild celebration by taking a vista shot on the bridge and launching “Great Guild Fireworks”. Members had a great time and some commented that we should have more events like this one. LEET FIRST YEAR ANNIVERSARY CELEBRATION COMING MAY 9TH! 8:00PM-8:30PM LEET does Tequatl, as a Guild, at North Boats of course [ http://www.elitedragonchasers.com/leet-0wnz-north-boats ] Here’s, where you’ll start blowing off some of your “Great Guild Fireworks” into the sky! 8:30PM-9:00PM LEET members take a break, sells shinies, relax, and listen to The Vooch as he performs a few musical tunes at The Mystic Toilet… ahem, Mystic Forge! [ http://wiki.guildwars2.com/wiki/Mystic_Forge ] Here’s, where you can stock up on more “Great Guild Fireworks” at the Trading Post and/or launch some more “Great Guild Fireworks” into the sky! 9:00PM-9:30PM LEET Group Photo Shoot at Constellation Shelter [ http://wiki.guildwars2.com/wiki/Constellation_Shelter ] Here, we’re gonna get some screenshots, and let’s try to get a better group screenshot to replace the banner on the guild website! Yaaarg! More “Great Guild Fireworks” welcome. 9:30PM-11:00PM LEET does Guild Missions (one-day earlier than normal. we’re going to test to see if we should move Guild Missions to Saturday Nights!) Let’s do these quickly so we can move onto more shinies! Be sure to have a stack of “Great Guild Fireworks” on-hand for each of these events (esp. waiting for Guild Puzzle or whereever we wait). MIDNIGHT: MOAR “GREAT GUILD FIREWORKS” TO BE LAUNCHED AT AN UNKNOWN LOCATION. For example, we stand on a cliff somewhere, and launch them as we watch a moon or something… Not sure where we’re going yet. ***NOTE: Guild Items held by The Vooch (eg. 200 gold, Spear Precursor, Mini Jack-A-Lop, etc.) will not be given away at this event. They’re being save for other events. If you want, you can donate to the Guild Bank before or after the event, by visiting the Guild Bank at any major city. REMEMBER: GREAT GIG IN THE SKY THIS SATURDAY NIGHT STARTING 8PM EASTERN TIME!